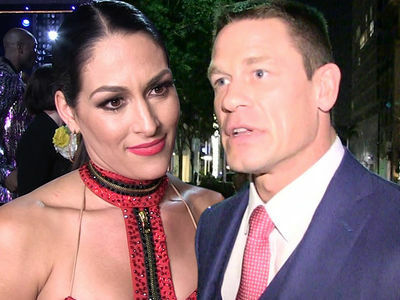 John Cena's desperate plea to get Nikki Bella back might've totally worked -- a month and half after calling off their engagement, the couple is working on their relationship, according to Nikki herself. Nikki tells us they've seen each other a few times, and are trying to work things out ... day by day. You'll recall, she called off the engagement after having serious questions about their future together. John didn't want kids, Nikki did. Cena took the breakup hard -- making red carpet pleas for her, and then going on the "Today" show to profess his undying love for his ex. As he put it, "I want to be the father of her children. I just want us to work." The two were spotted a few days later near her home in San Diego grabbing coffee -- but Nikki says now, they're at least one step closer to reconciling.